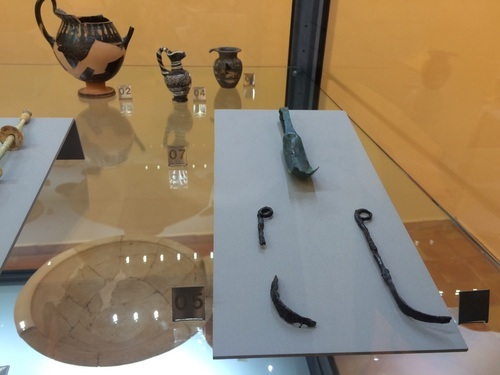 Menecrates of Tralles used some medical instruments which are now displayed in the National Archaeological Museum of Volcei in Buccino. 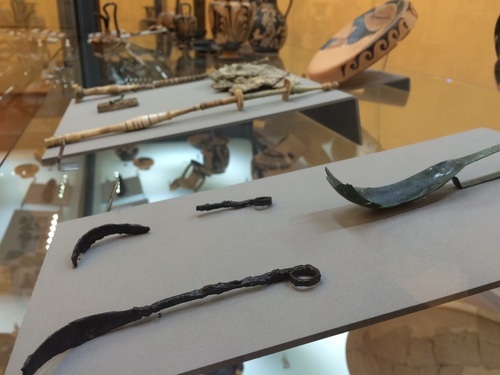 These instruments can be linked to Menecrates as they were found in Massatevere (Buccino) among the ruins of the Manneii house where the greek physician practiced for many years. 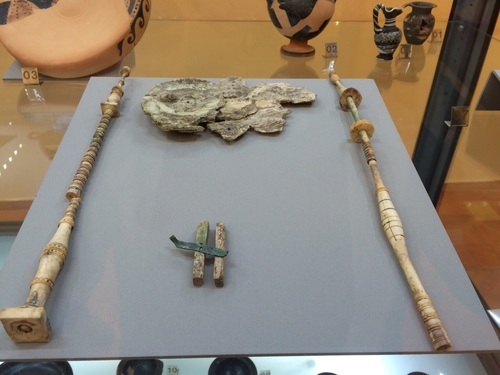 There are some bronze s-shaped strigils (tools used by several Greeks physician for the cleansing of the body by scraping off dirt, perspiration and oil), but also some ivory elements of the physician case such as the bronze and ivory latch (in the middle) and some hooks.